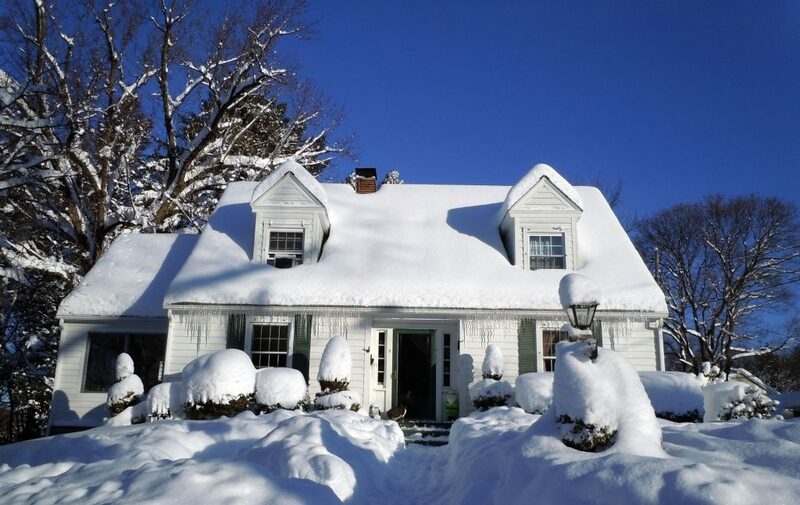 Selling your home in the winter is not ideal because it poses its own set of challenges. Not only are you showing your house at its worst due to lack in landscaping, dirty siding, etc but there will also be less showings because people typically shop for homes more in the Spring. However, this does not mean you can’t sell your home. There are some steps you can take to make showing enjoyable for your buyers. Always ensure that there is a clear path. You should continually shovel a path through the snow especially if you’re expecting some showings. You should also be mindful of ice. Try to scrape off any visible ice or use ice melt to minimize the falling hazard. Sprinkle some sand on walkways to ensure that your buyers will have a stable footing. Always be sure to clear a path from the street to the sidewalk so your buyers aren’t forced to jump over snowdrifts and huge snow piles. Be sure to have a plastic mat of some sort, so people will have a place to put their shoes without tracking mud all through your home. Also, I recommend that you have a place for your visitors to hang their coats so that they don’t have to haul them around on your house tour. Serve some winter snacks and use subtle scents. Hot apple cider or cups of hot chocolate are excellent beverage choices for winter showings. If you want to get creative, maybe even offer some soup choices. Many people are allergic to various scents so be mindful of this when choosing a scent. Don’t burn candles with a strong scent or spray perfume in rooms because this can trigger allergies. Let in as much light as you can! Be sure to pull up blinds and push back the drapes on every window. This will help make your house look larger and more inviting. Be sure to turn on every light in the house and brighten your dark rooms with lamps. Turn on the heat and be sure it’s at a comfortable temperature. As a rule of thumb, you should bump the thermostat up a couple degrees from the normal temperature. If you have a fireplace, turn it on! Not only are fireplaces appealing to buyers, but they will also help heat up your home.